People generally are not sure what a timing belt is or what it does – which is fine! 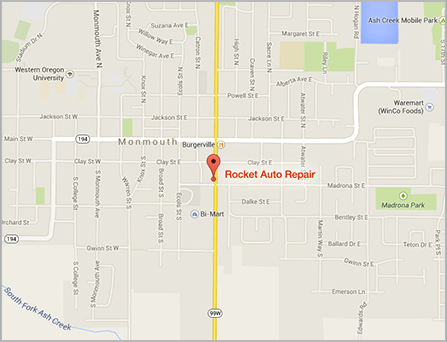 Leave it to the experts at Rocket Auto Repair. For those of you who are curious, a timing belt is an essential part of your car’s engine. It keeps all moving parts of your engine working together, or in “time.” When your timing belt becomes damaged it can cause pricey damages to your engine so it is important to replace it before it breaks completely. Bring in your vehicle today and we will gladly have a look for you to let you know whether or not your timing belt needs to be replaced, and we will happily replace it for you. At Rocket Auto Repair, we are passionate and dedicated to helping our customers with all their automotive repair and service needs. We take pride in every repair we do and treat you the way you want to be treated in order to make you a customer for life. Our ASE certified master mechanics have the latest technology and diagnostic equipment to adequately perform repairs and services on your automobile. Customer satisfaction is our highest priority. Our staff members will work with you to answer your questions and to keep you informed to provide the best experience possible.